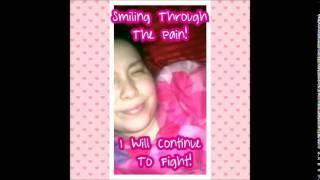 Raven Walton, Gastroparesis Advocate and Patient. She dances with a pacemaker in her abdomen that helps push the food through her system because her digestive tract does not work correctly. This is a reality for many people, yet few are aware that it exists. Even D.J. Williams wants Raven to get on The Ellen DeGeneres Show, noting that Raven inspires us all with her dreams and hopes. Help get her on the show to give sufferers a voice they do not otherwise have. View, and comment every day, and vote on new comments or leave comments for others of us to vote on. Raven expects to have to have a surgery every two years to replace her gastric pacemaker. Some people have total Digestive Tract Paralysis (DTP), and have to be tube fed. These 'tubies' cannot eat or drink food. Most gp patients have a problem with foods, but they can find 'safe' foods, foods that won't trigger a flare. Our tubies have no 'safe' foods, they cannot eat or drink anything most probably for the rest of their lives. Our society and everything natural revolves around food. CAN YOU IMAGINE??? Imagine seeing your favorite food on commercials. Imagine going out to a restaurant with a loved one and being looked at like you are contagious. People's ignorance can lead to painful discussions, when they treat you as if being near you, they will 'catch' what you have. GP is not contagious. It is disheartening what some of my fellow gp warriors go through. Depression is a big part of gp due to the social stigma, or the fact we are afraid to go out in public because we never know when our bodies will betray us, by spewing from top or bottom of our digestive tracts. Please help get Raven on Ellen's show in hopes of getting the medical community to commit more funding to gp research and hopefully a cure.